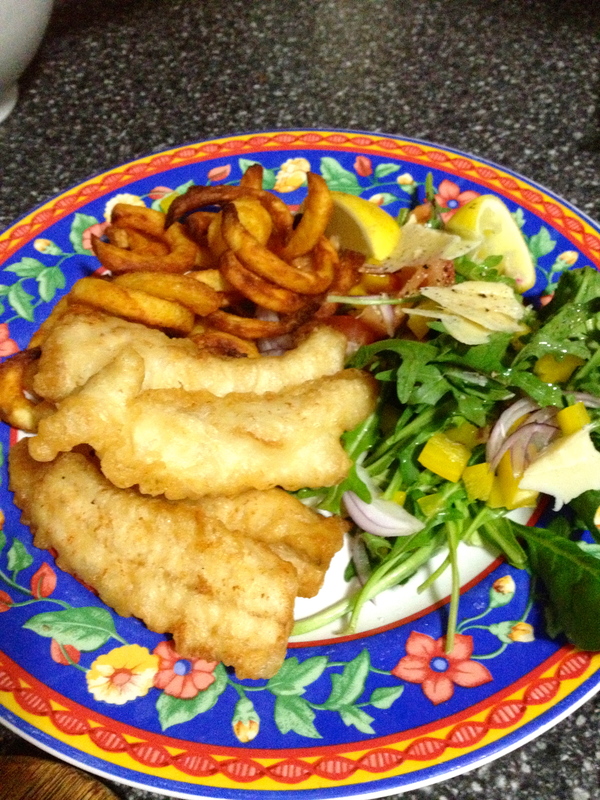 Beer Battered Flathead, 3 of my favourite words to read on any menu! 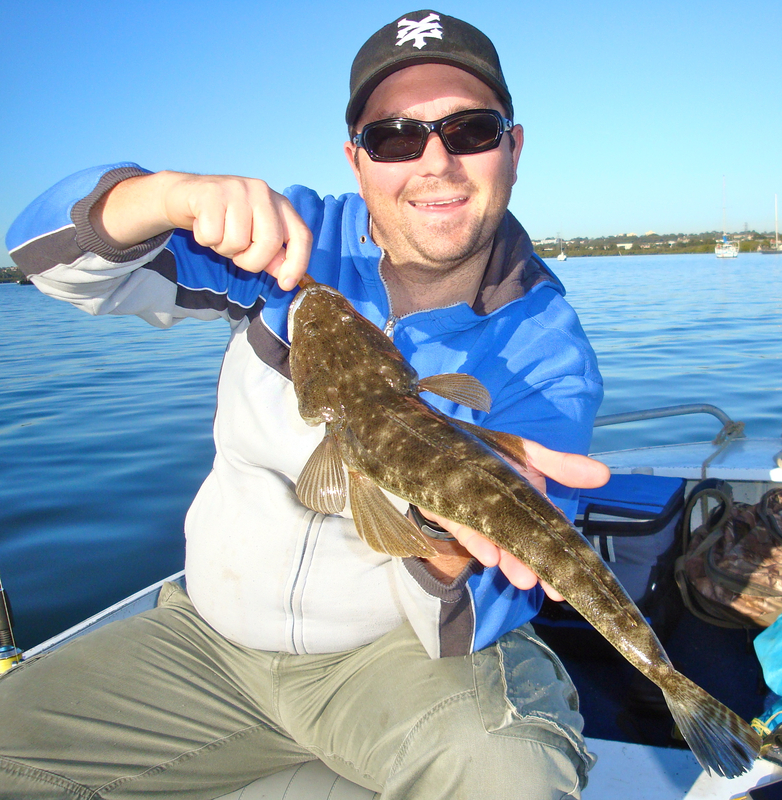 So when the opportunity arose to fish with a good friend, work colleague and expert flathead fisher, I jumped at the opportunity. As we pulled up in the tinny on the edge of the channel, my mouth started watering. I could literally taste that fresh flathead which surely would be on the menu at home tonight. 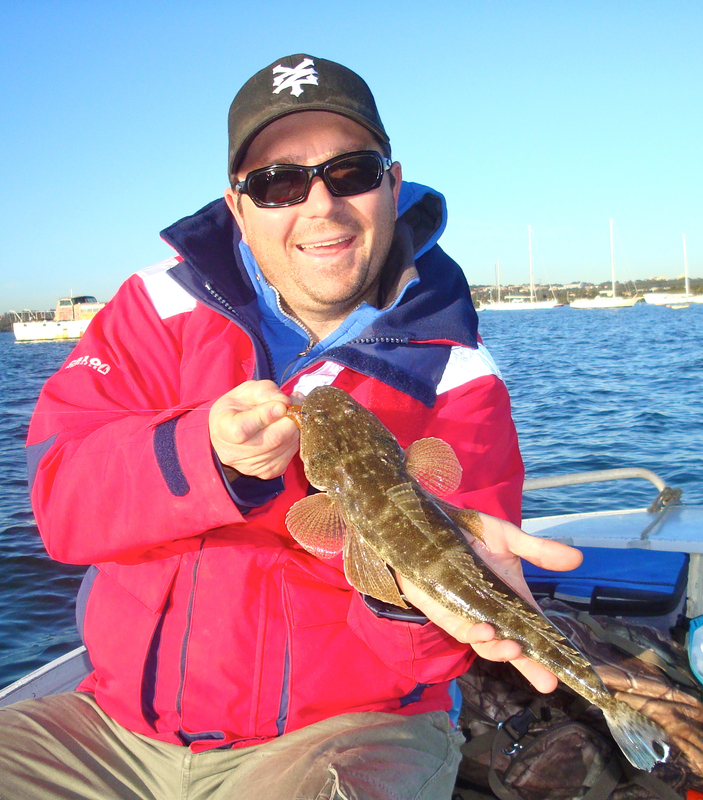 Now predicting to catch anything in fishing is a sure fire way to failure, however, on this occasion and with Sam’s expert guidance, within the hour we had 3 lovely eating size flathead chilling in the esky. The technique we used was pretty basic. Line the tinny up down the edge of a sandy/weedy drop off and slowly drift along it with the little bit of wind there was. 2-4in soft plastics (I was using prawn type patterns) were then cast ahead of the drift and slowly worked along the bottom back to the boat – Similar technique to chasing squid on jigs or snapper on plastics. Sure there was plenty of casts between fish, but it was a productive and leisurely way to spend the morning. As mentioned earlier, I love beer battered flathead. I made the batter with a nice crisp pale ale and a combination of half corn flour and half self-rising flour sifted into a bowl. I added a pinch of salt and pepper for seasoning. Add the beer slowly and whisk to a pancake batter type consistency. Allow the batter to set and chill for 30mins. Dip your pieces of flathead into the batter and then straight into 180 degree vege/rice bran oil. Served with some fresh cut chips and salad, it is hard to beat! 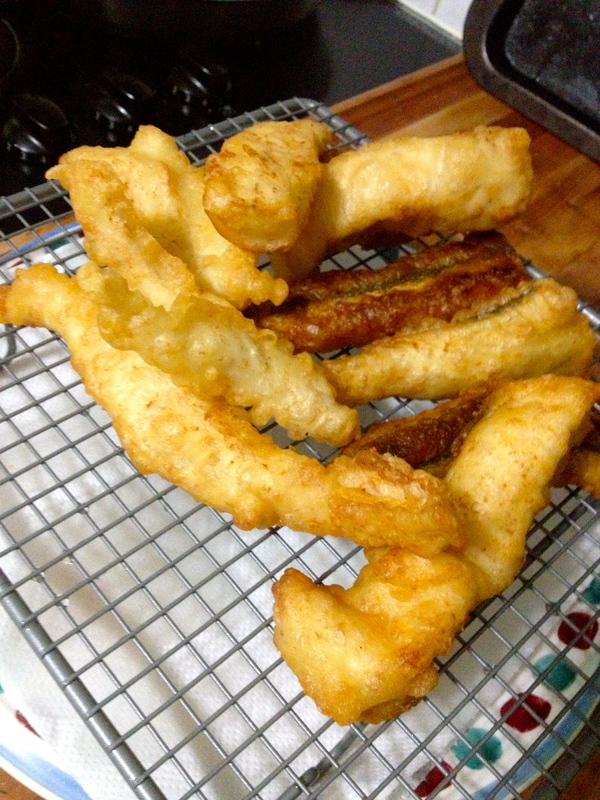 This entry was posted on August 30, 2013 by gourmettaffs in GH Adventures and tagged Batter (cooking), Beer, Flathead, Flour.